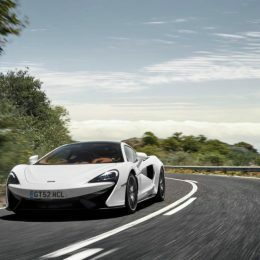 McLaren Sports Series models will benefit from greater choice of specification and an upgraded range of options as McLaren introduces new features and enhances its Coupé and GT models to align with the 570S Spider launched last year. 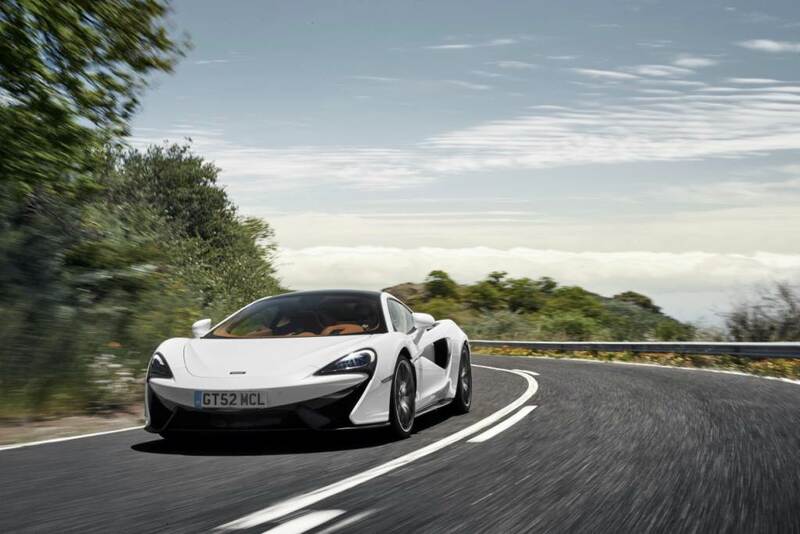 The 570GT enjoys the most changes, with carbon-ceramic brake discs now standard-fit and a Sport Pack also introduced, allowing customers to specify a 570GT with the same dynamic settings as the 570S Coupé and Spider. As the most luxurious and refined Sports Series model, the 570GT offers a more relaxed drive than the 570S Coupé; suspension spring rate stiffness is lower and there is a 2 per cent reduction in steering ratio for improved stability at higher speeds. 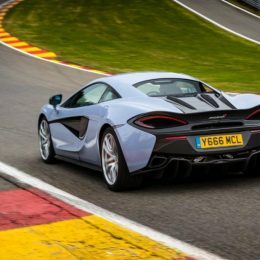 McLaren owners wanting a car tailored towards a GT driving experience have welcomed this blend of attractions, but there have also been requests for the sharper, more precise dynamic behaviour of the 570S Coupé to be available with the GT bodystyle. 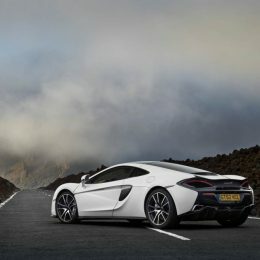 The 570GT Sport Pack addresses this demand with a combination of component and calibration changes: the steering rack, damper actuators and uprights are the same as those fitted to the Coupé and Spider, and the adaptive damping, steering and Electronic Stability Control are the same ‘S’ tune. 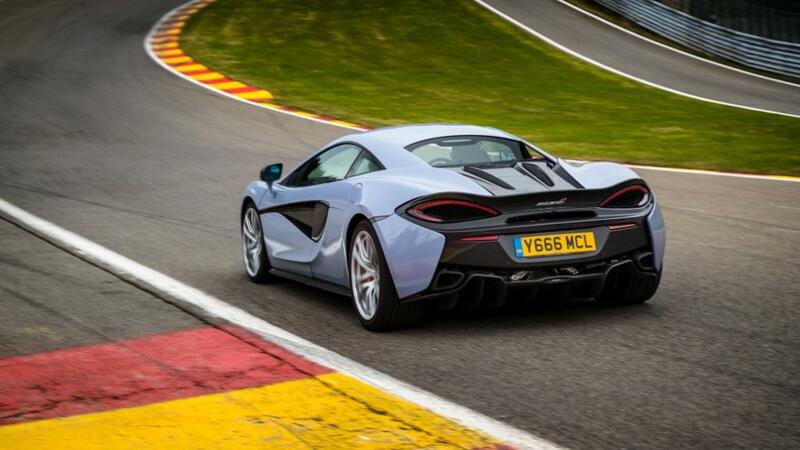 In combination with the Pirelli P-ZERO™ CORSA tyres that are included with the Sport Pack, the result is a driving experience that is the same as the 570S Coupé and Spider, at an additional cost to 570GT buyers of £4,900. 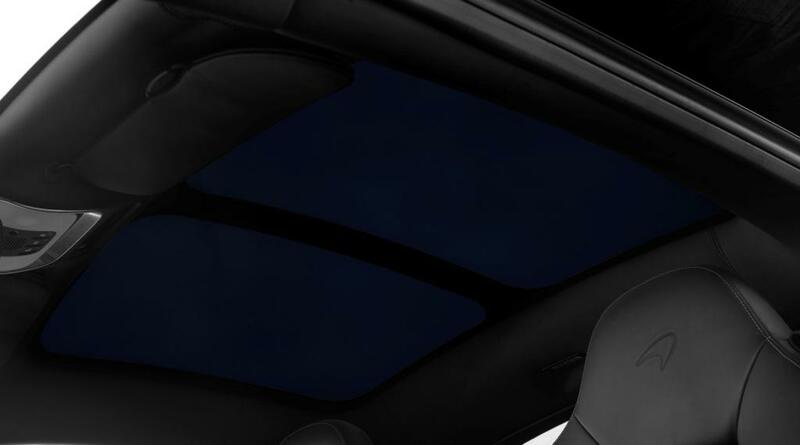 Customers wanting to further personalise their car will enjoy a wider choice of Sports Series options developed by McLaren Special Operations, including for 570GT an electrochromic roof with driver-controlled variable tint. 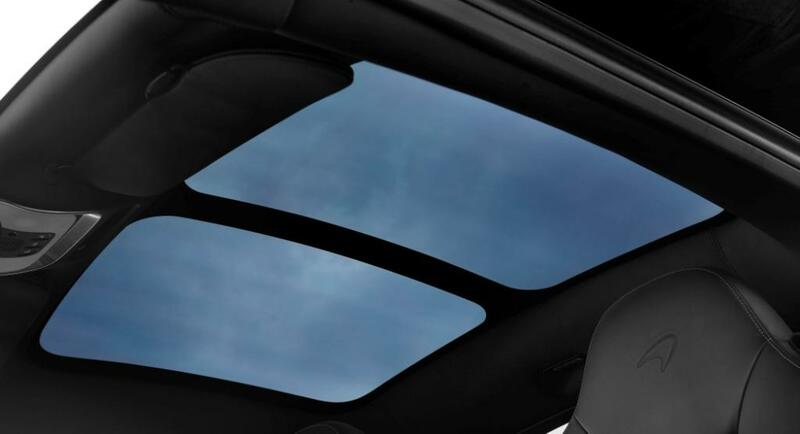 Using an electric current to trigger a change in the opacity of the glass through a range of settings, the electrochromic roof will be particularly beneficial in very hot, sunny conditions. 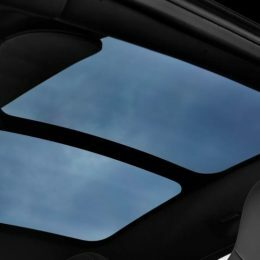 One of three UV-filtering panoramic roof options on 570GT – the others being green tint or dark grey, privacy tint glass – the MSO Defined Electrochromic Panoramic Roof is further evidence of McLaren’s pioneering approach to adapting advanced technologies from other industries to enhance ownership experience. 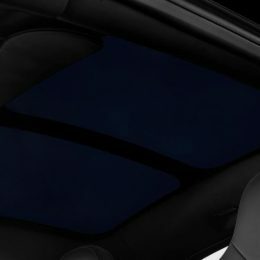 Five new, Design Edition Packs have also been introduced for the 570GT. These combine popular exterior colours with the By McLaren luxury design interior that best complement them, for significantly less financial outlay than if specified separately. The new 570GT Design Editions are: Silica White exterior with Saddle Tan and Carbon Black interior; Pacific Blue with Jet Black and Areia (cream); Blade Silver with Natural Tan and Carbon Black; Fire Black with Jet Black and Areia; and Storm Grey with Jet Black and Almond White. Changes to the content and pricing of option packs across the Sports Series means additional features are more attainable and the new colour and trim choices introduced with the 570S Spider are now available in other models: Curacao Blue, Vega Blue and Sicilian Yellow exterior paint colours and three new By McLaren Designer Interiors can now be ordered for all bodystyles, as can a new lightweight 10-spoke forged alloy wheel and Liquid Black finish on the brake calipers. Sports Series buyers who specify the optional reversing camera will now benefit from the camera view being displayed in the centre of the driver TFT instrument cluster. 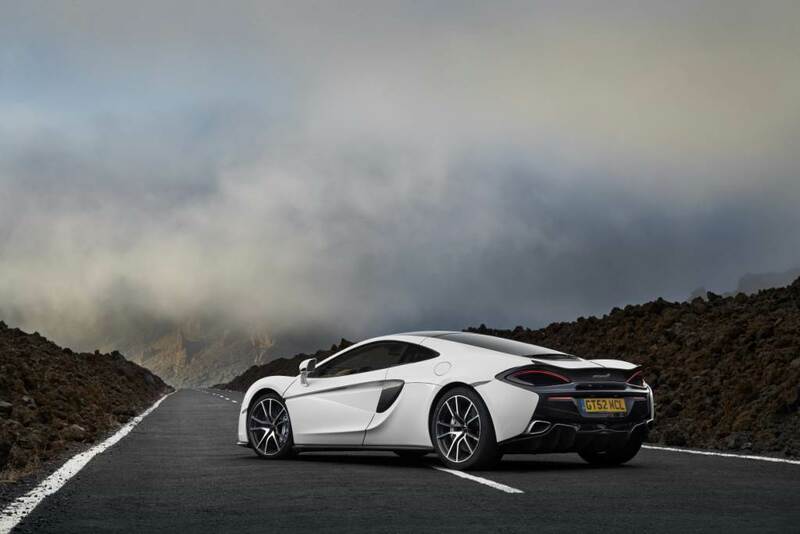 The desirable Track Pack option remains available on the 570S Coupé and can now be specified with an increased choice of six Alcantara® By McLaren Designer Sport Interiors. The 12mm taller rear spoiler introduced last year with the Track Pack is now standard on all Sports Series Coupé models.